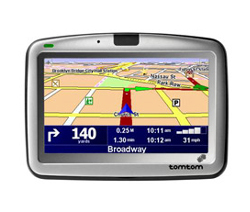 TomTom GO 510Hunting Fishing Inc. Speaks 36 languages in over 50 different voices. Bluetooth connectivity: Connect your GO to your mobile phone, headset, car speakers or headphones hassle-free with Bluetooth technology. I-pod control: Connect your I-pod to your GO* to operate it via your GO 510 touchscreen and enjoy mp3�s or Podcasts through the high quality speaker or via your car stereo. TomTom GO 510 supports the I-pod 3rd and higher generation (except the I-pod Shuffle).